I have known this about myself for quite some time. These next few blogs will present the pieces of the mystery I have so far in regards to why divorce and heartbreak have been much harder for me than death. This particular post will talk about all the grace God has given me through my life which has made death a more peaceful process. 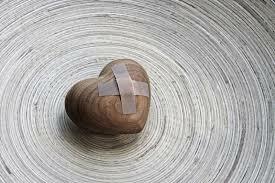 The next posts will discuss some revealed truths about what makes heartbreak so much more difficult for me….and maybe you…and some wholehearted ways to deal with divorce and breakups. Seventeen years ago I watched as my mom battled cancer for two years and then pass away. Just 4 weeks ago I watched as father’s body was overcome by cancer, and he too passed away. In each of those instances I was fortunate to be prepared for their deaths. I was given time to talk with them, say what I’ve always held in my heart about them, and hear what they wanted to say to me. Though my mom was too young in my eyes to leave this world, it was God’s grace that I was given notification. With my dad, he lived a full life, and in God’s grace, again, I was given notification. Working in a hospice for a short bit in my 20’s, I learned that time is precious. Don’t wait till the “notification” comes to deal with something or say something you’ve always wanted. That was a lesson I integrated wholeheartedly, so in the last few days of each of my parent’s lives, my heart found only a few questions I had always wanted to ask—what they enjoyed most about their lives, what were their spiritual beliefs that I didn’t know, how my mom felt about my dad, what my dad had always wanted to do but didn’t, any last words of advice they wanted to pass on. The information from those questions has been precious to me. I was fortunate in their deaths to have time to prepare and send them off with love. The heartache from my parents’ deaths was a mix of sadness and joy: I miss them yet thankful I had them for as long as I did, I became much more aware and grateful for what they taught me and passed on to me, there was no more suffering for them to endure, and I was peaceful about their belief and trust in God to take them to heaven where I’d see them again. Obviously, having spiritual life makes death and dying more peaceful. Knowing that my parents are finally with God and that they are more loved and joyous then they were ever on earth makes their going much easier. I have been fortunate. My close family has not experienced sudden deaths, tragic deaths, or unexpected deaths. In High School several of my classmates were killed in car wrecks and I did observe, from afar, the mournful cries and moaning of their families. Something I’ll never forget. And I knew the anger and the “words can’t describe” shock and pain I felt at the loss of those friends. I have walked a few friends and clients through the process of sudden child or spouse deaths. But for the most part death for me has been easier to deal with and adjust to than divorce or relationship heartbreaks. I have never been afraid of dying. I have had fear about HOW I will die, but that seems to be waning as well. Someone once said that I was probably not scared to die because my spirit remembers where it came from and longs to go home. That made sense to me, even though this was said to me during a time when my Christian walk was trying to come back to life! I was “saved” at 11 y/o but spent many years between then and 45 y/o walking in and out of churches like a Velcro ball that lost its place to stick or stickiness. Have I wished for death? Yes, I have wished for death…but never after someone dies only after heartbreak! I’ve had 3 significant relationships (one engagement, one with my husband of 20 years, and one long term relationship) with men I mindfully chose to put forth effort for a lasting, committed relationship. 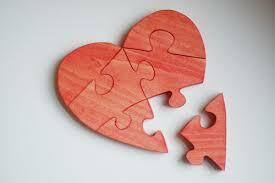 The ending of those relationships were devastating to my heart and mind. I was a mess! I’d cry for days, and honestly, even months or years later. Part of me felt lost or gone. Direction and goals I had disappeared. I felt empty and alone. Life seemed dark and hopeless. Death wishes would come sometimes as fervent prayers for God to take me home and sometimes just as a comfort and an escape. I have a daughter who I love wholeheartedly and even that didn’t keep them from coming. I didn’t like that. At some point don’t we realized that life is all about relationships (not work, money, things, etc)? My relationship with God, YES…yet others, too! But if this is what life on earth is like with relationships, then I can’t wait till I’m gone. I remember sitting in church singing songs about how everything will be amazing and wonderful when we get to heaven, and listening to sermons on the hardships of life but we had heaven to look forward to. These were all well and good, but what am I to do in the mean time till I get to go to heaven? I would have thought that death would have brought such a reaction for me. I know it has for others that have lost children, spouses, and parents. And I do believe, if I had tragically lost my ex-husband during our marriage or tragically lose my daughter, some of those same thoughts would appear. But my deep down grief and sorrow have come after relationship loss and not death loss. What was the difference? Why was this seemingly so much harder? How could I bring the peace I experience through the loss to death into the loss of a significant relationship? Can you relate to the difference in my reactions to death and heartbreak? I’d love to hear your heart. Leave me a comment or a snippet of your story on death and heartache. Really interesting perspective. I think I’ve been so blessed that several relationships that caused me to experience heartbreak, God healed at a later time. Those that did end were so unhealthy that they needed to. Death has been harder for me. Trying to live with the absence of my mother, who was my best friend, is something I’ll never master. The passing of time helps, but I don’t think it’s a wound that will heal on this earth.